Expectations have never been higher, your game’s ui design is important. Use these UI design tips to improve your usability which will lead to increased satisfaction and sales. These tips are general enough to be applied to any digital product. In the mobile space you have a tiny window of time to immerse the player. Hook the player immediately by engaging them in a great game. Your game should ideally start immediately or be one tap away. Be very strict with what you add to your UI, keep it light and simple. Each additional element adds more visual noise, which will add more cognitive load for the user. Your goal should be for the player to consume more of the game, not wade through a swampy UI. Unless your game is story heavy, keep in mind that the majority will NOT read. Your game should not need a manual for players to understand how to play it. For internationalization, its in your best interest to keep copy to a minimum. Try to make the feel of your game as natural as possible by baking the learning into the game. 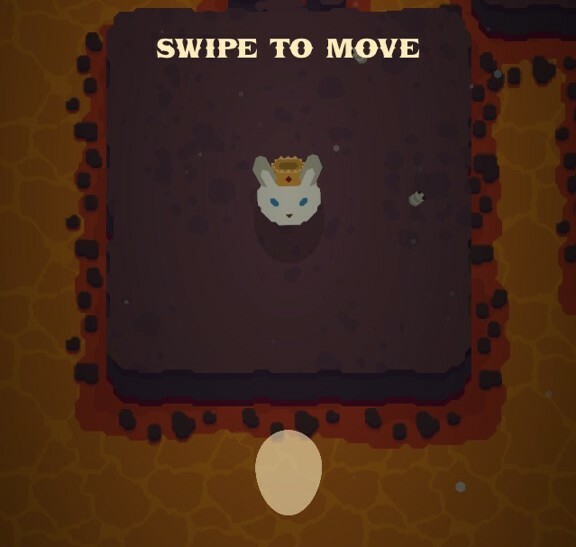 In Furdemption the only tutorial is this screen on the first level, showing the player how to move with an animated swipe. 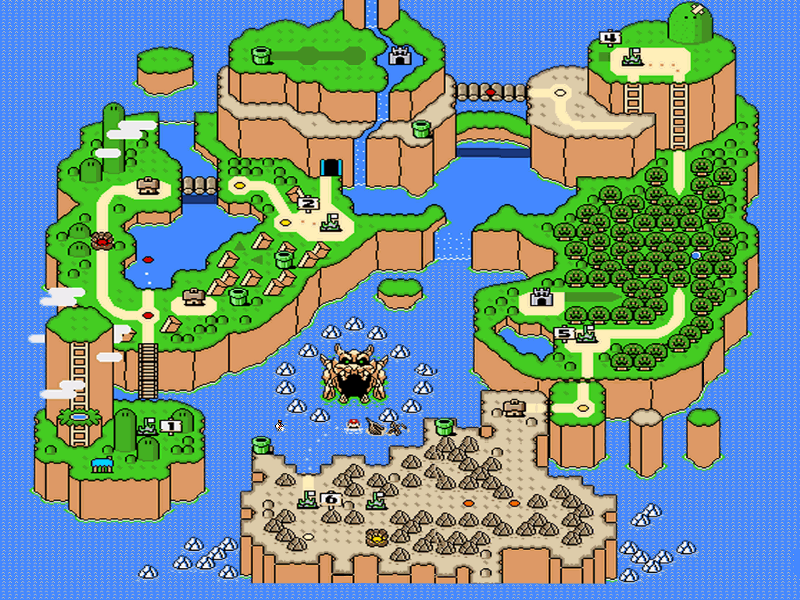 Since there are a ton of mechanics to learn after – the level design teaches the player through play. Design is a powerful tool in guiding the user, use it ethically. We’ve all been tricked into clicking the wrong button – this makes us lose trust in the source. Earn the trust and respect of your players by respecting them. 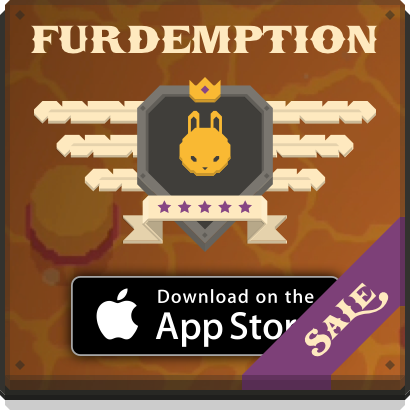 Don’t try to trick your players into buying IAP or clicking on Ads, it might pay off short-term but you’ll lose more in the long-term. Players don’t want to sit in front of UI’s — they want to be interacting with the bacon of the game. Every time you put a UI element in front of a player you’ve just removed the player from the experience to deal with a boring UI. There’s nothing worse than seeing a game with a horrible UI, it detracts from the experience of your game. This happens often when interaction design takes the back seat to other more “important” tasks. When significant changes take place in your game, you’ll find that you will need to iterate on your UI design. This is so critical. Sketching saves you time. Its easier to critique your own designs when they are sketches because you aren’t distracted other factors like colors or buttons. You’re seeking to create a strong foundation from the beginning, a sketch naturally filters out the noise. If you want your design to be pixel-perfect, mock up your design before starting to code. Iterating while it is in wireframe state is faster than iterating with code. I recommend Sketch. Start with basic shapes and work your way up to a higher fidelity. The bold titles above are naturally going to be read first, because it attracts your attention. What you don’t want to do is create competition between multiple elements. You want a nice flow that guides the user’s eye to what they should be looking at and in what order. Our game is best played the same way you would hold a game boy. When testing our game, we feel the “one tap culture”. Most people understand the simple tap gesture. When you start using some of the more advanced gestures, you begin to lose users due to confusion. 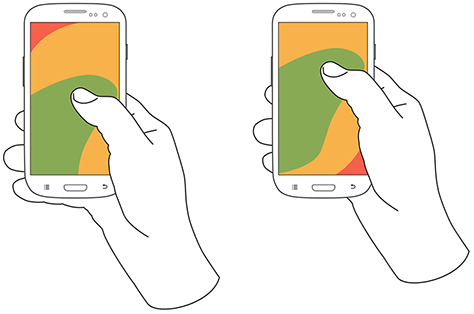 Use advanced gestures minimally as most people will immediately follow their learned behaviors. Whats the familiar location for a back button on an iPhone? Yes, the top left. Don’t mess with learned conventions, its frustrating. There’s no harm in getting inspired with what other people are doing. What kinds of apps do you feel are well-designed? Focus on what they’re doing and replicate it if it makes sense for your experience. Find UI design patterns on pttrns or gameinspiration. Buttons on the bottom corners can get covered up when users are holding the iPad. Swipes from the edges of the screen on iOS can unintentionally trigger the control center or notifications. Once we made the mistake of putting our pause button at the bottom corner of the screen, players would unintentionally tap it while playing. Without watching users test our game, we would have never noticed some of the mistakes we made. Users are quick to blame themselves when in fact it is usually due to poor design. 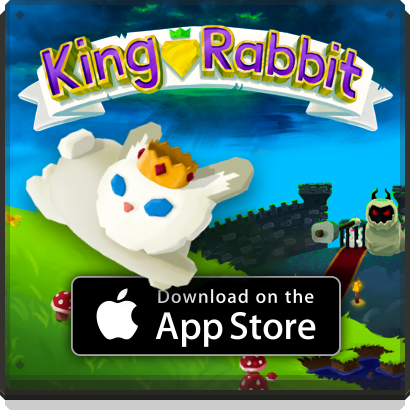 Test your game often, ask them to play as if they just downloaded it from the AppStore. Watch closely for inefficiencies or hesitations and iterate to refine usability issues. Keep players enjoying your game longer by maintaining a state of flow. You don’t want to interrupt a good state of flow with an intrusive UI element. The key is to maintain that sweet spot between frustration and boredom. 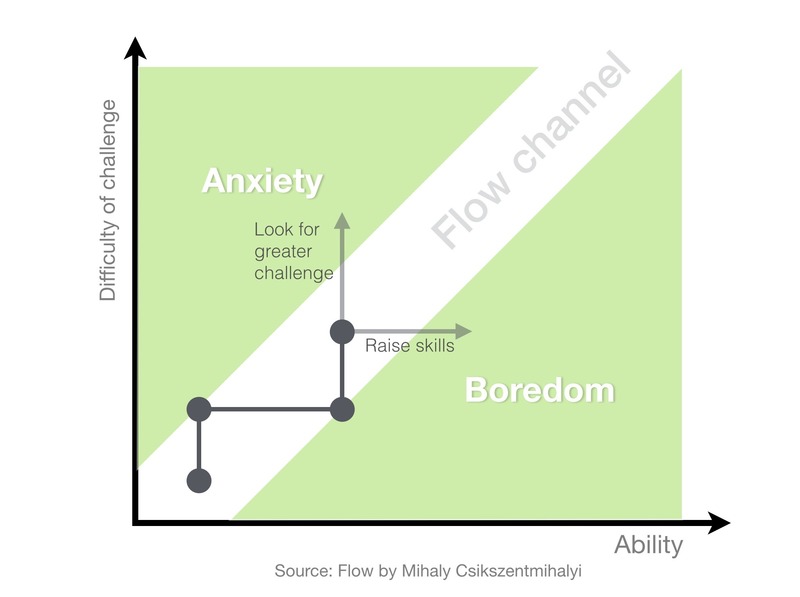 To learn more about this, check out my other article: designing games that flow. This one is huge and could be a post in itself. Be consistent with style, navigation, button sizes, etc. This ties into the familiarity point above. Create a design pattern and color palette and stick with it. Did I just buy something? Did I just do something? What just happened? You can avoid all of these questions and confusion by providing the right feedback. Sometimes you don’t need a lot of feedback, maybe its just color filling up a row like we did here with our upgrades. 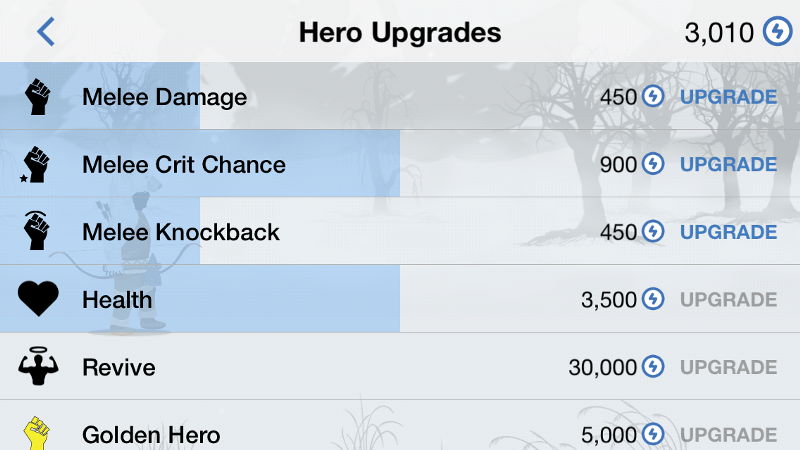 In this UI from Yukon Warrior, the player knows that they bought something, and how close they are to maxing out that particular upgrade. This is accomplished by using a bit of color and animation – when you buy an upgrade, the blue bar fills up from the left. If you know you are going to be adding other features in the future, try and account for that ahead of time. People are naturally resistant to change — remember how much people freak out after Facebook changes their design. You’ll notice that Hearthstone by Blizzard did something interesting here. 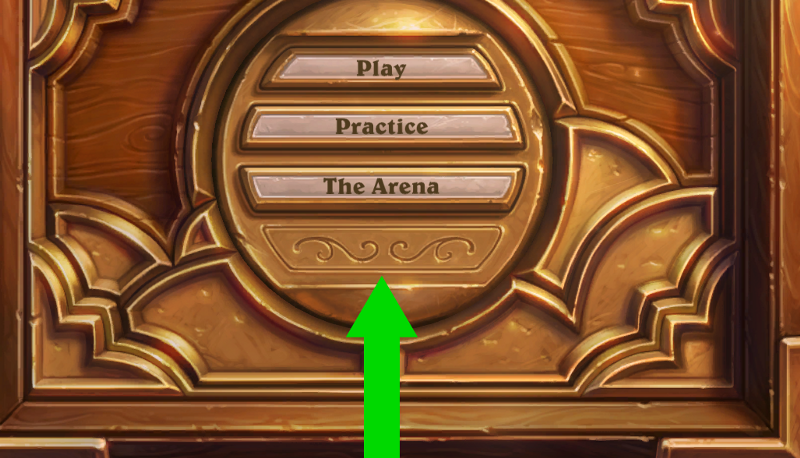 Before the tavern brawl feature was added, they had an empty spot ready! I’d be happy to help! Reach me on Twitter. Brian Oppenlander is a professional designer with an M.S. in Human-Computer Interaction & design from Indiana University. Before making games at RareSloth, he did UX for healthcare software.